The Harry Carey Ranch in Saugus wasn't just a tourist attraction. In fact, after the 1928 St. Francis Dam Disaster wiped out the Trading Post, it wasn't a tourist attraction at all. 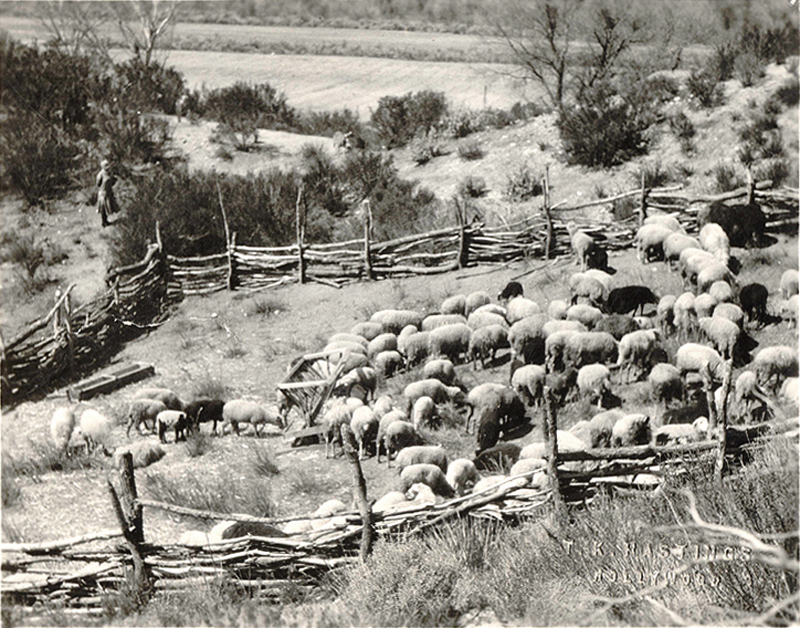 It may have been used for occasional filming after 1928, but the Careys ran sheep, cattle and hogs. The Carey family was in New York when the St. Francis Dam broke on the night of March 12, 1928. Afterward Harry Carey Sr. was reluctant to return. Their ranch manager Clinton Harter and his wife Marian had been killed, as was the Careys' cook, Solomon Bird. All three lived at the trading post, which Clinton and Marian operated. And now, even the trading post was gone. When the family did finally return, Harry Carey threw himself into the work of restoring the property into a true working ranch — as opposed to the tourist attraction it had been. "He said, 'I won't go back to that graveyard,'" Harry Carey Jr. (Dobe) remembered in a 2005 interview. "Finally my mom, our mom, drove up with our uncle ... and looked it over, and she came back and she told our dad that it was like a sick child that needed caring for. And then he went up and looked at it and they said, 'Let's move back.'" "It was the happiest time of my father's life," the younger Harry Carey said, "reconstructing that old place, which had been abused by tourists and stuff there. A lot of people shooting holes in things ... When he was back there, fixing that place up again, I think it was the happiest time of his life. He was just in seventh heaven." "We were all kind of camping out while he was nailing up the boards," Harry Sr.'s daughter Ella (Cappy) added. DC3003: 9600 dpi jpeg from original print courtesy of Harry Carey Jr.